Learn how to make a system Install, ink printers Canon PIXMA MG3210, follow the steps below and if you have any questions, type a comment. Installing an ink system is the ability to save at least 100% or more in the documents we print. The cost per page is the best, the quality is almost the same and the costs for replacement cartridges are very few. 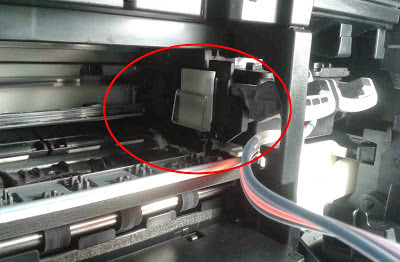 Canon printers make daily changes to the structure of the printers, especially for this technique is not done, the printer manufacturers earn most of their money when consumables (ink cartridges) are purchased. 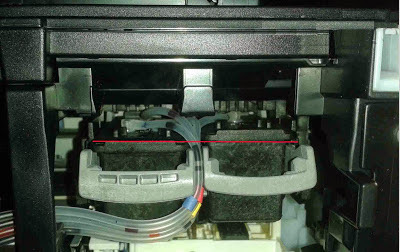 He then will make a brief explanation of how to install an ink system in the Canon PIXMA MG3210 printer, it uses ink cartridges PG-140 and CL-141 which before the installation must test the operation, print on at least two pages. 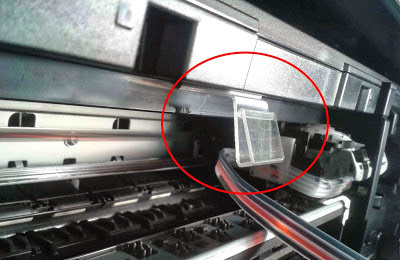 If a printer has problems that are manufactured after the installation of a system, we can not claim to the seller, so if about to install a system, you test your computer. 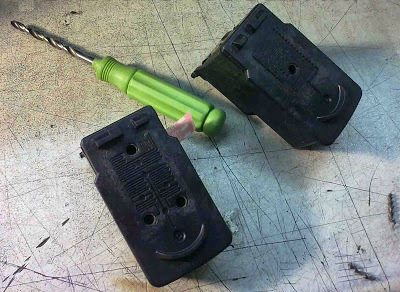 Extract the ink cartridges, remove the labels from the top, and the drilling tool to make the four holes in the two cartridges. We recommend using a wick to iron drills have just as much plugs which are then placed to hold the air in the ink system. 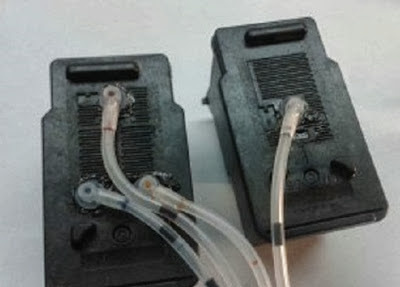 Then the plugs will carry the cartridges on top, if there are no right can put some silicon on the sides. Now fill the ink tanks, you must put your elbows are used to adjust the hoses to the cartridge. 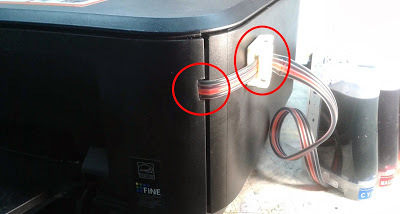 Look for ways to make the cartridges connected to the hoses without putting them in the printer before. 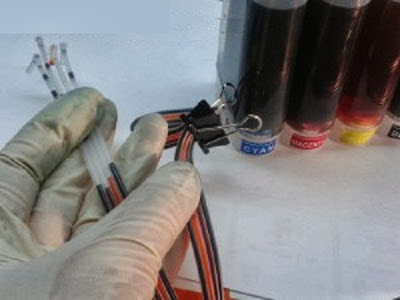 As we see in the picture above, the ink system is a bit advanced and inks, to achieve this know where each color in the hoses. 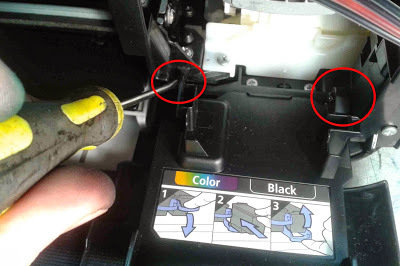 It must be very careful when connecting hoses in the cartridge, avoid connecting these in the wrong, and if so the ink cartridges are damaged place. 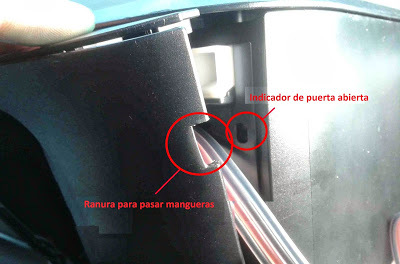 Below we present an image where a key is being phased elbow a little red, like this mistake will not present the color cartridge. If you have a key you can use any other sharp materials or other hot material. So far we've made it as easy or at least as fast. From now on, pay close attention to avoid paper jams. We must use all hose clips you provide the system (when we buy a system that must be completed), use a hose clip to grab on the left side of the cartridge carriage. Should put the hoses as is shown in the above image, make sure both cartridges remain at one level, as shown by the red line. It is recommended to use a double-sided tape resistance in case you can not get a tape that you can trust to use silicon hot. 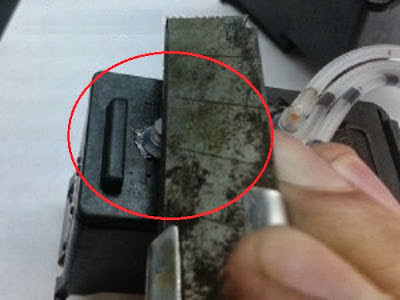 Paste the clip head, do not be possible because the cartridge. 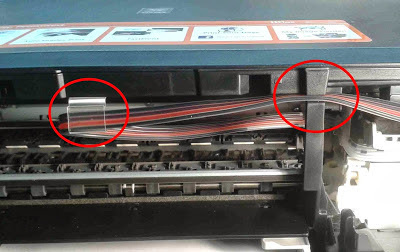 The next step is to bring the hoses out of the printer, on the right side of the printer, it must go through the clip and then the scanner support between the printer and the bottom. Next image will look like the printer and the ink system installed. Remember uncover one end of the ink tanks and place the respective filters which brought the system in case of problems with the operation type a comment in this publication will gladly help you.